Jupiter is the idol and element of consultation in nine planets. Jupiter controls yellow color, gold, finance, treasury, law, religion, knowledge, hymn and rituals. It sets digestion system, fat and age in body. Jupiter is the lord of sky element therefore; its impact is very wide and massive. 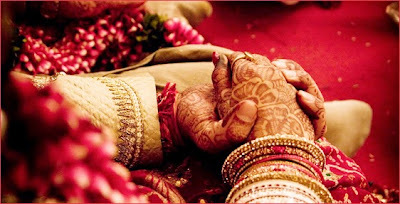 Jupiter plays an important role in marriage. Women: A woman cannot get marry or happiness in her marital life without Jupiter. She gets delay in marriage due to impair Jupiter. Also, she faces many problems in her marital life. If Jupiter is corrupt then it makes her character weak. However, if Jupiter is strong or good then it balances her marital life. On the above cases, women should offer water mixing turmeric to the Sun. Chant Vishnusahastranam. Keep your food pious. You should go to religious place once in a week. Men: Men’s marriage is completely depends on Venus. But, they can know their wife’s information through Jupiter. They can know about her color, nature and adjustment. If Jupiter is weak or medium then he get normal wife. But, if his Jupiter is corrupt then he get riotous wife. If his Jupiter is strong then he get good wife but he controls him. On the above cases, men should wake up early in the morning. Chant “Namah Shivay” for 108 times in morning-evening. Keep your diet pious. You can plant fruit trees. Do not wear necklace without any reason. Remedy: If you cut fruit trees without any reason then your Jupiter becomes weak. It directly affects on children and elders in the home.